Shiro-Khorshid Forever - شيروخورشيد تا ابد: PRESS RELEASE: Massacre of Iranian Dissidents in Camp Ashraf must be condemned! 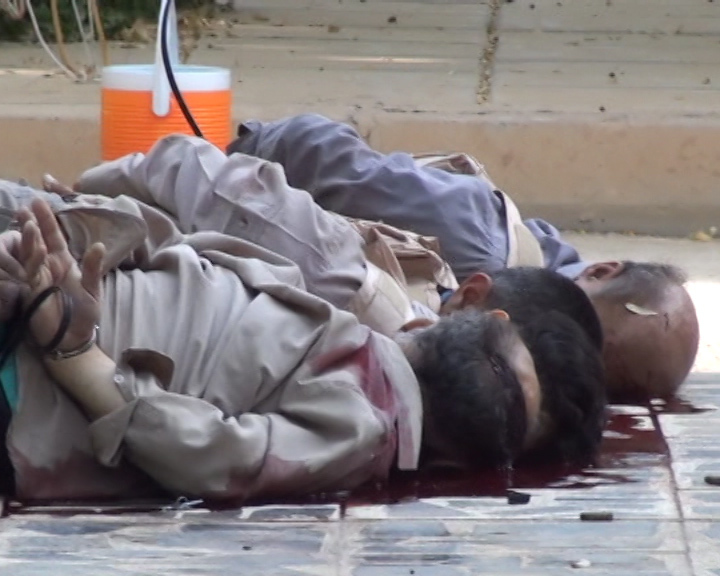 PRESS RELEASE: Massacre of Iranian Dissidents in Camp Ashraf must be condemned! On September 1st 2013 about 100 Iranian Camp Ashraf residents who are dissidents and members of Mujahedin-e-Khalg (MEK) were violently attacked and as many as 52 of them were murdered while at least 7 of the residents were held hostage by the attackers. Many of the victims were either shot in the head or in the upper chest area and a number of them had their hands tied behind their backs! While different accounts of the event have been circulating in the media it appears as though it was the Iraqi security forces who carried out this brutal attack. Sayeh Hassan an Iranian Canadian lawyer, blogger and pro-democracy activist stated “The residents of Camp Ashraf were disarmed in 2003 and were given the status of Protected Persons under the Fourth Geneva Convention. The Iraqi Government has an obligation to protect the residents of Camp Ashraf and guarantee their safety. Unfortunately the Iraqi Government has not carried out its obligation in ensuring the safety and security of the dissidents of Camp Ashraf. Sayeh Hassan lastly stated: “ I condiment this violent attack by Iraqi forces and deeply sympathize with the victims of this attack. The murder of Camp Ashraf residents must be condemned by Canada and the International Community, and there must be an independent and impartial investigation into the deaths.